If you're like most people then it can be very overwhelming to figure out exactly what you should take in regards to supplements. The aisles at your local health food store or pharmacy seem to go on forever with these items. I hope to provide some simple and basic information here to help you understand which supplements you need, and the pros and cons of taking certain supplements. The first and most important thing you need to know is that even though swallowing a pill is easy and convenient, it is usually never a better alternative than obtaining the same ingredient(s) naturally through eating healthy, delicious, plant-based, whole foods. When you're eating fruits, vegetables, legumes, and whole grains you're getting tens of thousands of antioxidants and phytochemicals from these foods, along with their vitamins and minerals, some of which haven't even been discovered by human beings yet. And all this comes without any added expense to your monthly budget, or potential to cause harm, which some supplements can do. 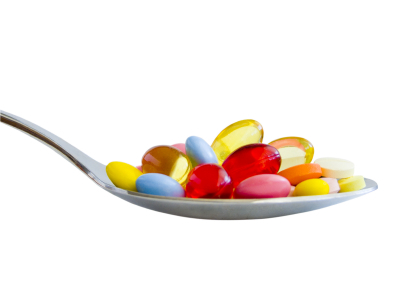 As a rule of thumb, you should take the minimum amount of dietary supplements to meet your individual needs. This amounts to only vitamin B12 for most people eating a plant-based diet. There are very few exceptions to this rule of supplementing with only B12. These include specific diagnosed vitamin deficiencies like rickets (vitamin D deficiency), scurvy (vitamin C deficiency), beriberi (thiamine deficiency), or pellagra (niacin deficiency) among others.1 It's important to work with your doctor if you suspect a true vitamin deficiency to be properly diagnosed, but again these deficiencies are almost unheard of in the Western world. Many supplements can also interact with medications (another reason to avoid them if at all possible) so check with your pharmacist if you have any questions regarding this. Now, let's take a look at some individual supplements. Vitamin B12 is a must supplement on a whole foods, plant-based diet. It is the only vitamin (other than vitamin D) which is not naturally found in plant foods. Biologically active vitamin B12 is actually produced by bacteria. These bacteria harbor themselves inside of other animals and are passed along to humans when eating the tissue or flesh of these animals. As noted on my nutrition page, animal-based foods pose potential human health risks. Because of this, they are not the preferred way to obtain vitamin B12 when attempting to achieve optimal health. This leaves supplementing to meet your body's needs on a plant-based diet. Vitamin D is actually a prehormone that is vital to maintaining optimal health in everyone. The best way to get vitamin D is naturally, from direct sunlight. As little as 10-15 minutes per day of sunlight is usually sufficient for most people during the peak hours (10am to 3pm) of the day. Omega-3 fatty acids, along with omega-6 fatty acids, are known as essential fatty acids. The human body cannot make these fatty acids on their own, and, therefore, they must be obtained from dietary sources. You can also get EPA and DHA from eating cold water fish (Atlantic herring, salmon, albacore tuna, sardines, mackerel, swordfish, etc.). The downside of this is that fish usually contain heavy metals, such as mercury and other pollutants (PCB's and dioxins), that can increase one's risk of cancer, as well as cause other health consequences. Remember, fish get their omega-3's from eating plants, so you're better off getting these essential fatty acids from plants too, as close to their natural state as possible. A sufficient daily dose of omega-3's is between 2,000-3,000 mg/day. One to two tablespoons of ground flaxseed or one to two oz of nuts/seeds provides this amount. In addition to the high omega-3 content of these plant foods, you also get a healthy dose of fiber and many other phytonutrients, such as lignans in flaxseed, to help ward of chronic diseases. Many MVI's contain vitamin A. Vitamin A is fat soluble and can be toxic to the liver.9 It has also been shown to counteract the positive effects of Vitamin D.10 Vitamin A comes from beta-carotene, which is found in plants. While beta-carotene consumption from fruits and vegetables has been shown to be beneficial for reducing cancer, vitamin A supplements have been shown to actually increase gastric and lung cancer risk.11,12 You're better off getting vitamin A directly from colorful fruits and vegetables. As you can see, there are several individual components of multivitamin supplements which cause more harm than good. The further you get away from the natural source of a vitamin, mineral, or any other natural substance found in food, the less predictable its course of action is in the human body. Harmful effects due to this unpredictability can and do happen to people. I want to stress an important point here—No human being has ever supplemented their way out of heart disease, cancer, or any other chronic disease by taking multivitamin and multi-mineral supplements. Preventing and reversing disease should always start (and end) by adopting of a whole foods, plant-based lifestyle. When it comes to pills (natural or otherwise) save your money and spend it on nutritious food and other healthy lifestyle interventions, such as gym memberships or a bicycle. 1 Piro A, Tagarelli G, Lagonia P, et al. Casimir Funk: his discovery of the vitamins and their deficiency disorders. Ann Nutr Metab. 2010;57(2):85-8. 2 Carmel R. Efficacy and safety of fortification and supplementation with vitamin B12: biochemical and physiological effects. Food Nutr Bull. 2008 Jun;29(2 Suppl):S177-87. Review. 3 Autier P, Boniol M, et al. Vitamin D status and ill health: a systematic review. The Lancet Diabetes & Endocrinology, Early Online Publication, 6 December 2013 doi:10.1016/S2213-8587(13)70165-7. 4 Zheng Y, Zhu J, Zhou M, Cui L, Yao W, et al. (2013) Meta-Analysis of Long-Term Vitamin D Supplementation on Overall Mortality. PLoS ONE 8(12): e82109. doi:10.1371/journal.pone.0082109. 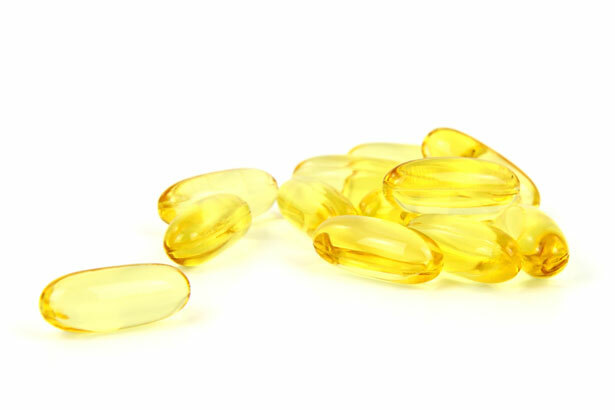 5 Wang C, Harris WS, Chung M, Lichtenstein AH, Balk EM, Kupelnick B, Jordan HS, Lau J. n-3 Fatty acids from fish or fish-oil supplements, but not alpha-linolenic acid, benefit cardiovascular disease outcomes in primary- and secondary-prevention studies: a systematic review. Am J Clin Nutr. 2006 Jul;84(1):5-17. 6 Weksler BB. Omega 3 fatty acids have multiple antithrombotic effects. World Rev Nutr Diet 1994;76:47-50. 7 Kromann N, Green A. Epidemiological studies in the Upernavik district, Greenland. Incidence of some chronic diseases 1950-1974. Acta Med Scand 1980;208(5):401-406. 8 Dean Ornish M.D. The Dark Side of Good Fats. Newsweek Web Exclusive. May 2, 2006 | Updated: 3:28 p.m. ET May 15, 2008. 9 Geubel AP, De Galocsy C, Alves N, Rahier J, Dive C. Liver damage caused by therapeutic vitamin A administration: estimate of dose-related toxicity in 41 cases. Gastroenterology. 1991 Jun;100(6):1701-9. 10 Rohde CM, DeLuca HF. All-trans retinoic acid antagonizes the action of calciferol and its active metabolite, 1,25-dihydroxycholecalciferol, in rats. J Nutr. 2005 Jul;135(7):1647-52. 11 Lin J, Cook NR, Albert C, et al. Vitamins C and E and beta carotene supplementation and cancer risk: a randomized controlled trial. J Natl Cancer Inst. 2009 Jan 7;101(1):14-23. doi: 10.1093/jnci/djn438. Epub 2008 Dec 30. 12 Druesne-Pecollo N, Latino-Martel P, et al. Beta-carotene supplementation and cancer risk: a systematic review and metaanalysis of randomized controlled trials. Int J Cancer. 2010 Jul 1;127(1):172-84. doi: 10.1002/ijc.25008. Review. 13 Baggott JE, Oster RA, Tamura T. Meta-analysis of cancer risk in folic acid supplementation trials. Cancer Epidemiol. 2012 Feb;36(1):78-81. 14 Klein EA, Thompson IM Jr, et al. Vitamin E and the risk of prostate cancer: the Selenium and Vitamin E Cancer Prevention Trial (SELECT). JAMA. 2011 Oct 12;306(14):1549-56. doi: 10.1001/jama.2011.1437. 15 Bjelakovic G, Nikolova D, et al. Antioxidant supplements for prevention of mortality in healthy participants and patients with various diseases. Cochrane Database Syst Rev. 2012 Mar 14;3:CD007176. doi: 10.1002/14651858.CD007176.pub2. Review. 16 Bidoli E, Talamini R, et al. Dietary vitamins E and C and prostate cancer risk. Acta Oncol. 2009;48(6):890-4. doi: 10.1080/02841860902946546.